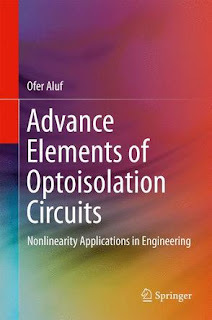 You can download Advance Elements of Optoisolation Circuits Nonlinearity Applications in Engineering by Ofer Aluf free in pdf format. 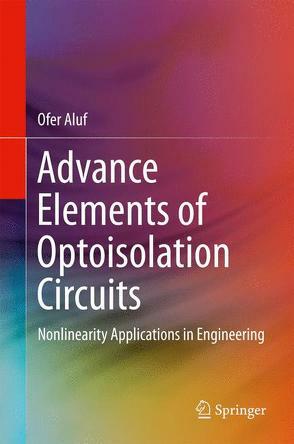 This book on advanced optoisolation circuits for nonlinearity applications in engineering addresses two separate engineering and scientific areas, and presents advanced analysis methods for optoisolation circuits that cover a broad range of engineering applications. The book analyzes optoisolation circuits as linear and nonlinear dynamical systems and their limit cycles, bifurcation, and limit cycle stability by using Floquet theory. Further, it discusses a broad range of bifurcations related to optoisolation systems: cusp-catastrophe, Bautin bifurcation, Andronov-Hopf bifurcation, Bogdanov-Takens (BT) bifurcation, fold Hopf bifurcation, Hopf-Hopf bifurcation, Torus bifurcation (Neimark-Sacker bifurcation), and Saddle-loop or Homoclinic bifurcation.